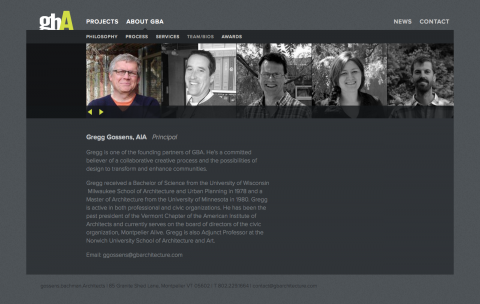 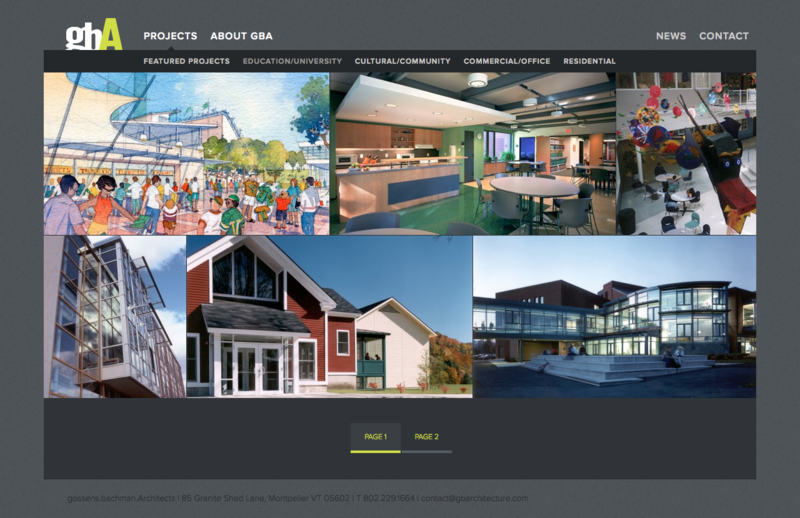 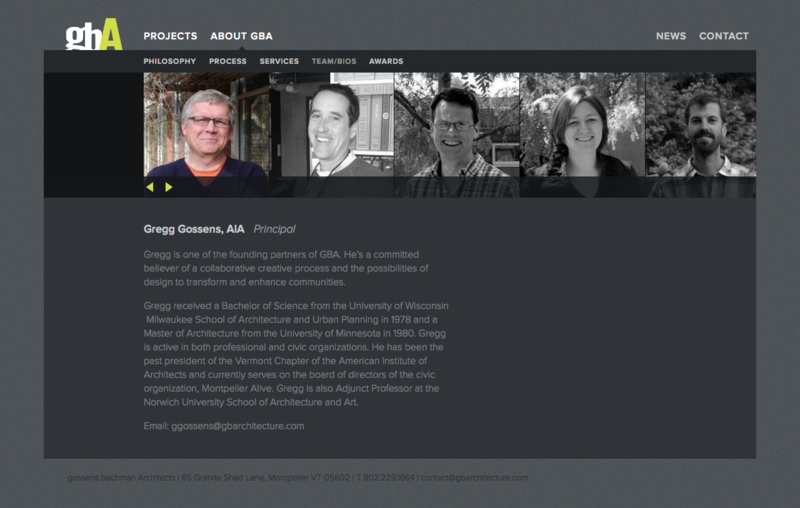 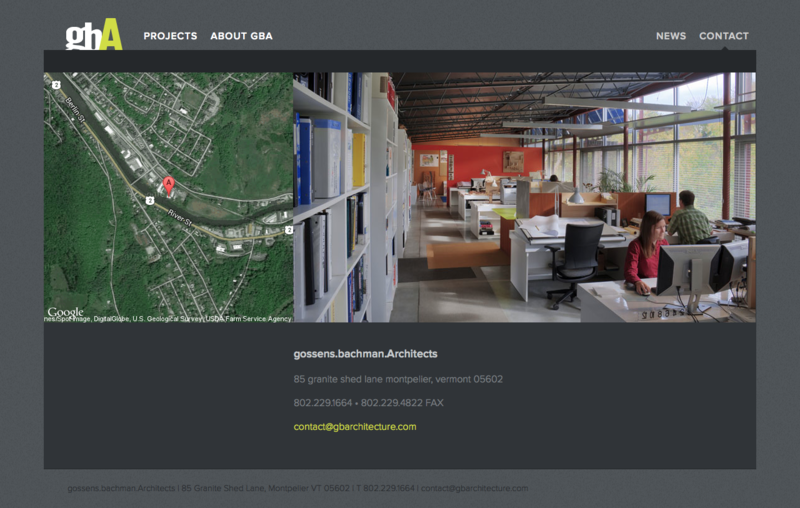 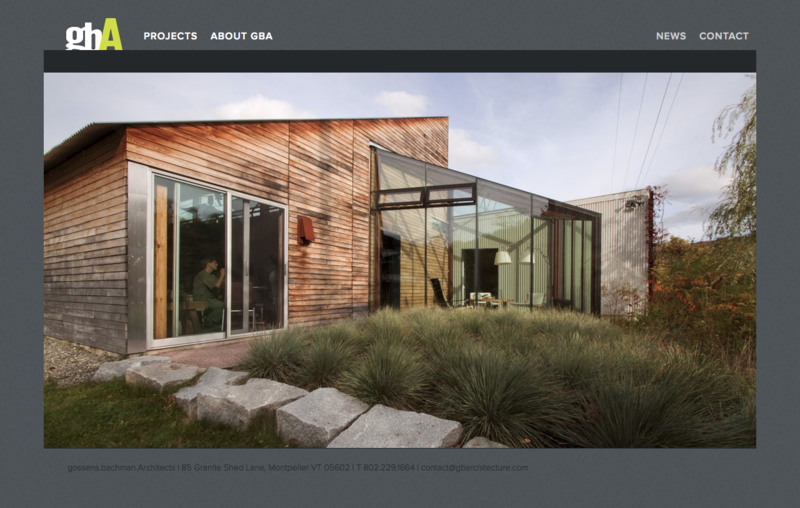 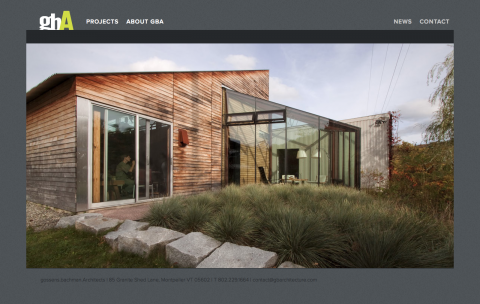 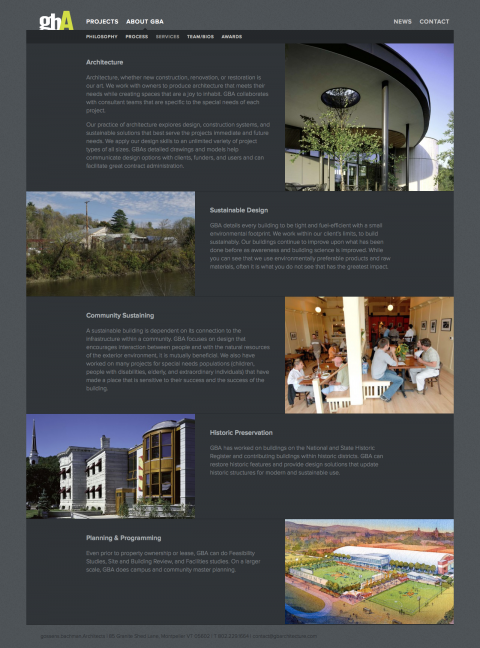 This is the third iteration of the GBA website to be designed and built by Okay Plus. 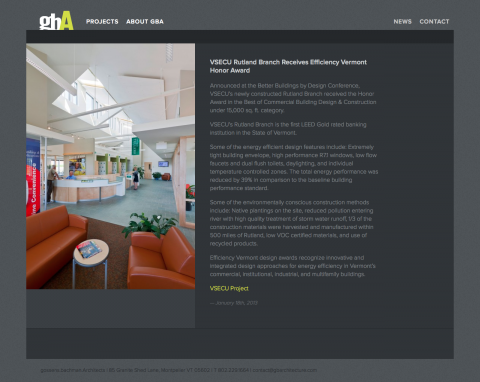 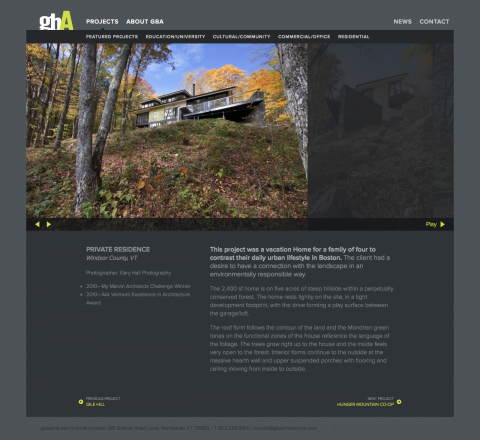 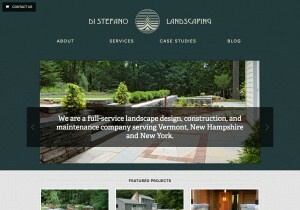 The site has evolved from a table-based, Dreamweaver-built relic of its era, to a fast and modern web presence suitable of representing this award-winning architecture firm in Central Vermont. The site is designed to showcase the wonderful photography of Jim Westphalen, Gary Hall, and others, while providing the user with an intuitive interface for exploring their vast body of work.